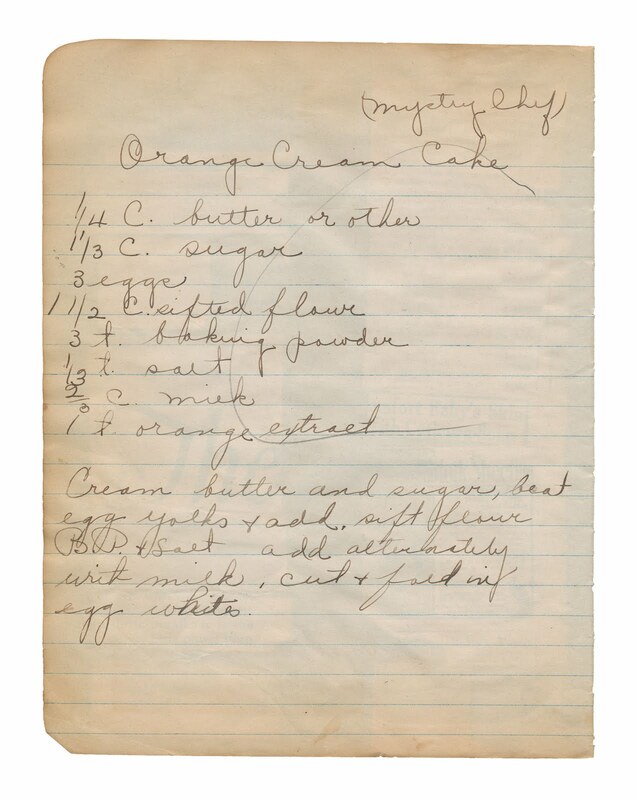 Recipe for Orange Cream Cake, attributed to "Mystery Chef." Cream butter and sugar, beat egg yolks and add, sift flour B.P. and salt, add alternatively with milk, cut and fold in egg whites. No addtional instructions are given. 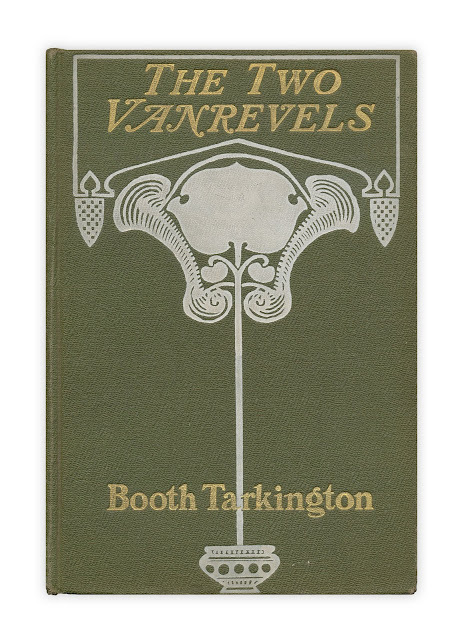 Found in "The Two Vanrevels" by Booth Tarkington. Published by McClure and Phillips, 1902. The Mystery Chef had a radio/TV cooking show in the 30s/40s; more info via my blog, http://historylive.wordpress.com/2011/01/27/doughnut-report/ - if you're interested! I would add in the orange extract before the milk. Sounds like this is a fairly standard cake recipe otherwise, so probably 350 for about 40 minutes. Sounds pretty good though. I think the artwork on the book cover looks like a uterus. Just sayin'.